Information. – Photography – David A Lockwood. Fossil records show the date palm has existed for at least 50 million years. Dates have been found on a number of neolithic sites, which would suggest that they were being eaten as much as 7,000 to 8,000 years ago. They provide a range of essential nutrients, and are a good source of dietary potassium. The sugar content of ripe dates is about 80%; the rest consists of protein, fibre, and trace elements that include boron, cobalt, copper, fluorine, magnesium, manganese, selenium, and zinc. Oman has more than 250 varieties of dates, and each region of the country will tell you theirs are the best. But I think of all, it has to be the ‘Khalas’, found in the Sharqiya and Dhahirah region, also Al Rostaq. The fruit is bright yellow, oval-shaped, and usually eaten fresh or half-dry. Dates and qahwah arabiyya (coffee) is a fundamental part of Omani hospitality; even the poorest family will offer coffee & dates when one visits. My obsession with trees & fog continues – on this walk I managed to drop a lens cap. Could I find it? not a chance, rather annoying because it was the only thing keeping the front of the lens dry in all the fog. At least it was a cheap item to replace (a free one from my daughter 🙂 ) not like the time I lost my Nikon DK-17M magnifying eyepiece from the Nikon F4, that was rather costly. If you have never tried one of these, I would recommend getting one, especially if using manual focus lenses; it gives a 1.2x magnification, making the viewfinder appear much larger, without causing problems for the dioptre adjustment. Stanton Drew – Stone circles Somerset No2. Before sunrise & in the opposite direction from the earlier post I made. This from wikipedia & English Heritage. Geophysical work by English Heritage in 1997 revealed a surrounding ditch and nine concentric rings of postholes within the stone circle. More than four hundred pits, 1 metre (3ft 3in) across and at 2.5 metres (8ft 2in) intervals, stood in rings at the site. The ditch is 135 metres (443ft) in diameter and about 7 metres (23ft) wide. A 40 metres (130ft) wide entrance was visible on the north-east side. No surrounding bank has been identified although the site awaits excavation. The geophysical work transformed the traditional view of Stanton Drew as being a surface monument and the Great Circle is now seen as being one of the largest and most impressive Neolithic monuments to have been built. Analogous with the circles of postholes at sites at Woodhenge, Durrington Walls and The Sanctuary, it is thought that the pits would have held posts which would have either been freestanding or lintelled as they could not have supported a roof at that size. The postholes in nine concentric rings held posts up to 1 metre (3.3ft) in diameter indicating the use of ancient trees which were sacred to the druids. Nearby and to the north-east is a smaller ring of eight stones in the centre of which the geophysical work identified four further pits. A third ring of twelve stones, measuring 43 metres (141 t) wide, stands to the south-west. A fluxgate gradiometer survey in July 2009 investigated standing stones in the garden of the Druids Arms public house known as The Cove, which showed that the stones date from nearly a thousand years before the stone circles. The conclusion from the study was that these upright stones are likely to have been the portals or façade of a chambered tomb. Lone tree – Black Down hills Somerset. Black Down, the highest point in the Mendip Hills Somerset. According to that well-known online Encyclopedia, which agrees with a book I have: the name Black Down comes from the Saxon word ‘Blac’ or ‘Bloec’ meaning bleak or dark and ‘Dun’ meaning down or fort. There are several Bronze Age round barrow earth covered burial tombs & a nearby Iron Age hill fort in the area. Stanton Drew – Stone circles Somerset. Stanton Drew stone circles in the county of Somerset England. Probably late Neolithic to early Bronze Age: thought to date between 3000 and 2000 BC. I will post more in the next few weeks. See this link from English Heritage: Stanton Drew. Nikon Df with 43-86 Ai zoom lens. Reaching out for other trees: not so strange as it may sound, there is research going on that seems to confirm that trees actually do communicate with each other. See this link from the Smithsonian: Do Trees Talk to Each Other? There is a lot of IMHO misleading information about this, especially cross contamination and in some cases ill-informed concern thinking you have a problem when in fact you don’t. If people like Carl Zeiss Germany, refuse to take infected lenses, I don’t care what others say about it not being a problem. Not only can your lenses get this fungus but it can infect SLR prisms as well. If it is growing in one item, it will more than likely migrate. Living for a long time in Oman with its summers of high heat & humidity, I was very careful with my photography equipment. Please note that fungus spores are present everywhere, it’s when they start to grow and multiply that you have a problem. To quote Zeiss “Lens surfaces are irreparably damaged by metabolic products of the fungus (e.g. acids). Its damage ranges from cloudiness to opacity caused by the film”. Never buy used equipment from a non reputable seller. Always check used equipment thoroughly before parting with hard-earned cash, or have a money back guarantee. Never put lens or camera away if used in a damp environment (high humidity or rain) before making sure they are dry and then put away with a small sachet of silica gel (remember to make sure the silica gel is either new or reactivated) done by placing on a radiator or in a warm oven for a few hours. This will drive out absorbed moisture and the gel should be good for a couple of months, the process can then be repeated. How many people throw away that small sachet that comes with new optical or electronic equipment they buy – it’s silica gel and can be kept and reused for the same purpose the manufacturer placed it in the box originally. Never use canned air, it drives dust and contaminants into areas of the lens that would need a full strip down for cleaning. Use a good quality ‘Rocket type hand blower’ and always use either lens tissue or micro-fibre cloths as anything else will eventually scratch or wear the coating away. Make sure stored lenses and cameras are exposed to sunlight on a regular basis as dark warm moist camera bags are a perfect environment for the promotion of fungus; the spores hate sunlight and die. I think most people will either not be aware of this fungus problem or lucky enough to live in an environment that does not cause a problem. But acquiring used equipment means some vigilance is needed. Use a bright light or torch and open the lens aperture to its widest ‘f’ stop and look through the lens while pointing each end towards the light so that you can see through the lens at a slight angle – never point at the sun!. Don’t be worried if you see a small amount of dust inside, all lenses get it and unless very bad, does not degrade the image. Some lenses will have very small bubbles in the glass, this also is not a problem. What you are looking for is small fussy white patches or in bad cases, an overall cloudiness. Ken Rockwell has a very good article about lens problems (link) and I urge people to look at it because it takes a lot of experience to diagnose what is major from the mostly harmless. While on the subject of used lenses, another worry is scratches or chips on the front or rear elements. A chip or scratch on the front of a lens element, especially if light or near the edge, will not be a real problem unless you are taking very sharp and/or closely detailed images. But avoid buying any with them on the rear elements, as this in most cases will degrade the image; it’s better to wait for another lens to come along in your price bracket. SLR prisms on older cameras can have their problems as well: either fungus or degraded silvering. This is harder to detect without a strip down of the camera, but a quick check by taking any lens off after cleaning the eyepiece, then opening the shutter on bulb and looking through the eyepiece will usually show any problems, it will either be hazy (not blurred, that’s the focusing screen without a lens) or show multiple dark spots. Avoid or if only slight get some TLC for your camera. Wakan village is a very popular tourist attraction and this door must have been photographed hundreds of times: so thought I should add my two penneth. I remember visiting this village long before it came onto the tourist route, probably 1987 if my memory serves me well. It sits about 2,000 meters above sea level in Wadi Mistal, tucked away in the Hajar Mountains. Famous for its apricot flowers which are in full bloom between the middle of May & the end of August. It was and in some respects still is a drive that requires a 4×4 and some experience with off-road driving on tracks that can deter even the most determined tourist. A little like Jebel Shams / Jebel Akhdar; when visitors see the hotels marked on the map, they set off in the newly hired car and find the track is not what they expected. Many times I have seen people either lost, stuck in wadi streams or so frightened because the edge has a drop off on one side of 200 or 300 hundred meters. Resulting in me not being able to pass them when coming from the opposite direction and needing to guided them passed my vehicle. Unfortunately it is the lack of knowledge and information given by the hire companies and hotels. One example was when camping high in the mountains and late one evening a 4×4 stops and my daughter and I get asked “how far is Muscat?” we both looked a little shocked because it was getting dark and the road that these people were about to travel was very dangerous even in daylight. We suggested that the map they had been given was not very good and Muscat was at least 3 hours away, the road needed great care in daylight and driving at night was not to be recommended. They had some discussions with each other and took our recommendation of turning back rather than going on and missing the edge of the road which would have been either a very long drop or crash into a rock face. Despite the many tourist intrusions in recent years, the locals remain very welcoming, as happens in a lot of these traditional villages that have been added to the tourist map. Although I did despair sometimes, when I saw a total lack of awareness by some visitors of the cultural sensitivities of the occupants. It probably means that in a few years, the open & hospitable welcome that tradition dictates for visitors will be lost. Looking at the above image – Wakan is the village left of centre and the track can just be seen snaking down the mountain on the right of the village. Tawi Atayr: A sinkhole located in Al-Qarā Mountains Dhofar (more). More from Tawi Atayr – unfortunately it was the wrong time of day, so shadows in the sinkhole were very dark. It was also before the monsoon hits, so everything is brown & tinder dry. The metal rusted & broken frame seen on the last image, was for taking water from the bottom of the sinkhole during the summer months. During severe monsoon periods, this place can fill with water, then join the deluge that pours down Wadi Darbat towards the sea; such as when Cyclone Mekunu caused flash flooding earlier this year. Getting there & seeing the place was great fun (even if rather precarious when venturing near the edge and away from the installed viewing area) but needs must for photography, as long as one is sensible. Tawi Atayr: A sinkhole located in Al-Qarā Mountains Dhofar. Two images of a water run-off channel that drops into the Tawi Atayr sinkhole. The one on the right diffused, because I liked the look when printed. On the left I used a lens that has a slight softness around the edges: not everything needs to be ultra sharp. Tawi Atayr: A sinkhole located in Al-Qarāʾ Mountains Dhofar. The name roughly translated from Arabic means the “well of the birds” appropriate because it is populated by many birds whose song can be heard seemingly from all directions, when approaching the area of this sinkhole. Its surface measurement is approximately 130m in a NE-SW direction and about 90m in NW-SE direction with a vertical depth of around 210m. Halfway down it narrows to an almost circular hole of about 60m in diameter. Opinions differ as to its formation, either erosion exacerbated by fissures opened when the rock freezes or a collapsed cave system. At the bottom there is a cave passage in a north-eastern direction, located at groundwater level and half-filled with water. To my knowledge, this passage has not yet been explored, it is possible that it leads to Wadi Darbat and the sea which is only 10km to the south. Black & white, silver gelatin coated, 100% Cotton Rag based darkroom paper. This premium quality, variable contrast paper delivers a slightly warm image tone on a neutral to cool white acid-free base. This unique paper has a textured matt surface with an ‘eggshell’ sheen finish making it a traditional fine art darkroom paper unlike any other. It is the perfect complement to showcase stunning black & white fine art images and is ideal for toning, hand colouring and retouching. Burton Agnes Elizabethan Manor House. Burton Agnes Hall, an Elizabethan manor house on the edge of the village of Burton Agnes, near Driffield. Built by Sir Henry Griffith in 1601–10 to designs attributed to Robert Smythson. Although the configuration of the house as it stands, does not follow his original plans, it is probably due to changes being made as the building was constructed. The estate has been in the hands of the same family since Roger de Stuteville built the Norman manor house on the site; the Undercroft of which is shown in my earlier post. In 1457 Sir Walter Griffith came to live there. The Griffiths were a Welsh family who had moved to Staffordshire in the thirteenth century and inherited the Burton Agnes estate. The present Elizabethan house as seen here in this post, was built next to the original Norman manor house when Sir Henry Griffith, 1st Baronet, was appointed to the Council of the North. This one from 2010 – Nikon F4 on T-Max 400 and probably developed in D76 if my memory serves me well. I have a darkroom log book somewhere in all my stuff, just haven’t come across it yet, I know I packed it because it has a lot of information about film, paper, developers etc; so rather useful and should have this image info in it. Another for the printer, although I will probably make a conventional darkroom print as well and then make a decision which gets on the wall. I am still working my way through computer files, but have about 3500 negatives/E6 slides which need cataloguing and either scanning or printing in the darkroom – or both. Also reading this book, it was one I should have got when it was available from the bookshops in 2010, a copy from Amazon would now cost me £118. new and £80. used: that will teach me ! Our library in Driffield (yes we still have one) has found a copy through the Bibliographic department, so have got it on extended loan for a small administrative fee. They are so helpful and nothing seems too much trouble for them. Even though Oman had always been familiar to travellers sailing between Europe and India or Persia, it was its coast alone that was known. Greeks and Romans had charted it, medieval merchants traded on it, and in the early sixteenth century the Portuguese conquered its main towns, yet the interior of Oman was all but entirely unknown and would remain so until the early nineteenth century. Only after the ejection of the Portuguese in 1650 and an independent Oman had built an empire of its own, stretching round the Indian Ocean from India to Zanzibar, did Muscat, the capital, start to be visited by western powers eager to obtain commercial concessions and political influence. In the nineteenth century, for the first time, a very few, mainly English, explorers ventured inland and embarked on the true discovery of Oman. But even that was sporadic. As long as there was a powerful ruler, the travellers were protected, but by the late nineteenth century the rulers in Muscat had lost control over the interior and it was not until well into the twentieth century that explorers such as Wilfred Thesiger could investigate the south and that the oil companies could begin to chart the centre and the west. 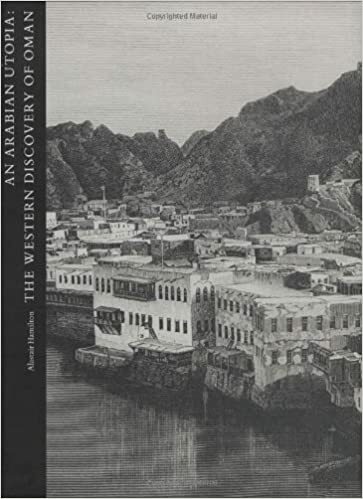 Oman was the last Arab country to be fully explored by western travellers and this book examines and discusses the ways in which the emergent knowledge of Oman was propagated in the West, from the earliest times to 1970, by explorers, missionaries, diplomats, artists, geologists and naturalists, and by those scholars who gradually uncovered the manuscripts and antiquities that allowed them to piece together the history of the area. A Jpeg file that I have of the The Arabian Oryx or white Oryx (unfortunately I have not found the original negatives yet: I have about 20 in a folder that I have yet to scan and catalogue) this is from my files of November 2010 when I was down in the Huquf. The Unicorn myth: From that well know online encyclopædia. The myth of the one-horned unicorn may be based on oryxes that have lost one horn. Aristotle and Pliny the Elder held that the oryx was the unicorn’s “prototype”. From certain angles, the oryx may seem to have one horn rather than two, and given that its horns are made from hollow bone that cannot be regrown, if an oryx were to lose one of its horns, for the rest of its life, it would have only one. Another source for the concept may have originated from the translation of the Hebrew word re’em into Greek as μονόκερως, monokeros, in the Septuagint. In Psalm 22:21, the word karen, meaning horn, is written in singular. The Roman Catholic Vulgata and the Douay-Rheims Bible translated re’em as rhinoceros; other translations are names for a wild bull, wild oxen, buffalo, or gaur, but in some languages a word for unicorn is maintained. The Arabic translation alrim is the most correct choice etymologically, meaning ‘white oryx’. Farming – Wadi Al Hoqain. Date palms, sugar cane, the henna plant, along with animal fodder; all grown in this wadi, renowned for its abundance of water all year round. There has been some form of settlement here from as early as the bronze age, maybe even earlier. Working my way through the book shown below, so with luck. By: Samuel Barrett Miles Pub. 1919. This type of rifle can still be seen all over Oman, either in use or as a dress item. A breech loading single shot rifle using a falling block action and chambered for a .45 caliber round-nosed bullet, notorious for its heavy recoil. Having used a Lee-Enfield .303 and feeling the recoil from that if not held correctly, I would hate to think how much this gun hurt the shoulder if not tucked in and the thumb in the right place. I remember around 1987, watching a man from the Jebel Akhdar trying to sell one at the old open-air Friday market in Nizwa. He was also carrying a bandoleer filled with various bullets, mainly .303 Lee-Enfield but he did have at least 3 of the type his rifle actually used. That was when the enclosed Souk was still open and these rifles could be purchased without much difficulty. 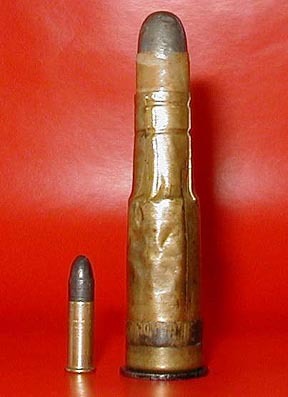 On the left, a standard .22 Caliber LR cartridge. On the right, a rolled brass Short Chamber, Boxer-Henry .45 Caliber cartridge. Big !!! Tin bowl – Jebel Harim: Musandam. Nikon F4 with Non-Ai 135mm f/2.8 Nikkor on Kodak T-max 400. Made at an abandoned (?) village on Jebel Harim Musandam: I question the abandoned because the owners would leave their Jebel accommodation and move to the coast for a couple of months each year, for fishing and general trade, so I was never sure. The people of this area of Oman are very interesting in many ways, according to recent research the ‘Shihuh’ who occupy most of the mountainous area are a mystery. I have one of these axes from my time in the Musandam. Other than arriving by sea, getting into the Musandam was very difficult and in some ways dangerous for outsiders; not only because of the lack of access (mountainous with precipitous cliffs) but also because the locals had a fearsome reputation. Whether justified or not, it did dissuade outsiders which achieved the result they wanted. They speak a dialect of Arabic (A mixture of Arabic, Farsi and Urdu) which has probably evolved through several hundred years of isolation. Another area on the coast called Kumzar has a language very similar; a mix of Farsi, Arabic, Baluchi, Portuguese and English. Bukha Fort – Nikon F4 / Nikkor 50mm f1.8D and Ilford Hp5 Plus film. There has been substantial renovation since this image was made. This fort may have been built in the 16th century by the Portuguese although doing a search for its history seems to show conflicting information. It was certainly used in the 17th century by Saif bin Sultan Al Ya’rubi. The distinctively shaped tower was constructed to deflect cannonballs; the fort was a lot closer to the sea than it is today and it had a ditch on at least three sides, that would fill with sea water. Some interesting history from the book: The Ya’rubi dynasty of Oman. Raymond Denis Bathurst. Sultan bin Saif Al Ya’rubi defeated Portuguese troops, who had been occupying certain coastal dominions. This liberated Omani trade and ushered in nearly a century of relative wealth and progress, until the death of Sultan ibn Sayf II and resultant break out of civil war in 1718. The Al-Ya’ariba trace their descent from Ya’arab bin Kahtan, whom some date to about 800 BC. The family originated in Yemen and belonged to the Ghafiri faction. Nasir bin Murshid bin Sultan al Ya’Aruba (r. 1624-1649) was the first Imam of the Yaruba dynasty, elected in 1624. He moved the capital to Nizwa, the former capital of the Ibadhi Imamate. Nasir bin Murshid was able to unify the tribes with a common goal of expelling the Portuguese. He built up the Omani army and took the main towns as well as the forts of Rustaq and Nakhal. His forces threw the Portuguese out of Julfar (now Ras al-Khaimah) in 1633. In 1643 they took the fort at Sohar. Nasir bin Murshid was succeeded by Sultan bin Saif (r. 1649-1688), his cousin. Sultan bin Saif completed the task of expelling the Portuguese. He captured Sur, Qurayyat and Muscat, expanded the fleet and attacked the Portuguese on the Gujarat coast. Under Sultan bin Seif and his successors Oman developed into a strong maritime power.The Omanis took many of the Portuguese possessions in East Africa. The first attack on Zanzibar, then held by the Portuguese, was in 1652. In 1660 Omani forces attacked Mombasa, forcing the Portuguese to take refuge in Fort Jesus. There was continued fighting between the forces of Portugal and Oman in the East African coast in the years that followed. Bil’arab bin Sultan (r. 1679-1692) succeeded as Imam in 1679 after the death of his father, Sultan bin Saif. This confirmed that the succession was now hereditary, since his father had also succeeded dynastically, while in the Ibadi tradition the Imam was elected. Most of his reign was occupied in a struggle with his brother, Saif bin Sultan, who succeeded Bil’arab bin Sultan when he died at Jabrin in 1692. Nikon F4 with Nikkor 80-200mm f/2.8 AF-D ED on Kodak T-Max 400. The Portuguese arrived in Oman and occupied Muscat from 1507 to 1650: they built Mutrah (Muttrah) fort in the 1580’s. It being captured by the Omanis around 1654 AD. Abandoned village of Tanuf – bombed during the Jebel Akhdar war of 1952 – 59. A rock art file that I thought I had lost, have the B&W version here on my blog; also a B&W negative. I knew I had a colour version somewhere and here it is. 🙂 Also its location was not marked on my map, fortunately there was a map reference with the file. There is a lot going on in this image, at least three different periods, the very early ones being very faint. The disc has been redone twice and as a pair each time, makes me think it could be a tribal sign like Wusum (used by Bedouin for camel identification) and not as thought previously, that it represented the sun. There are two or even three very faint anthropomorphic images, along with one horse with rider and above it possibly a camel with rider. This sort of choke point is quite common in most of the major wadis in Oman. Finding a way around or over can be a challenge, especially in the summer months when the rock is warm (hot) and covered in fine dust. Accumulation of rock like this one is the result of the many Cyclones Oman has endured over the centuries; well trodden paths and even Falaj get blocked. There are several instances were a whole village has moved because of the loss of water when a Falaj gets blocked or damaged beyond repair. The Al Hajar stretch for about 700 km across the north of the country and rise to over 3,000m (Jebel Shams – mountain of sun) from the coastal plain. Sediments at the core were mainly laid down during the Late Permian to Late Cretaceous in the Tethys ocean basin that had resulted from the break-up of Gondwana. The Arabian Plate collided with and pushed against the Iranian Plate, resulting in mountains chiefly made of Cretaceous limestones and ophiolites. Rock outcrops in the Al Hajar Mountains, the Huqf and Dhofar span about 825 million years and includes at least three periods when the country was covered by ice. Oman, located at the south-east corner of the Arabian plate, is being pushed slowly northward, as the Red Sea grows wider. The Al Hajar Mountains and valleys of Musandam are dramatic reminders of this: Oman is fairly quiescent tectonically but the Musandan experiences occasional tremors as the Arabian Plate collides with the Eurasian Plate (I remember coming back from holiday & finding bathroom tiles all over the floor from one of these tremors). During the Cretaceous Period Oman was located adjacent to a subduction zone and a portion of the upper mantle along with overlying seafloor volcanic rocks were thrust over the continental crust. This obducted sequence of ultramafic to mafic rocks is the Semail Ophiolite complex. The ophiolite is locally rich in copper and chromite ore. The interior plains of Oman are of young sedimentary rocks, wadi gravels, dune sands and salt flats. Beneath them is a several kilometre thick stack of older sedimentary rocks that host the country’s hydrocarbon resources. Links for most of this come from – Encyclopædia Britannica & Wikipedia. Mountain village with water containers. I have another from this village somewhere on the blog: but I wanted to explain about all those white tower type structures. Even though in most of these mountain villages, there is an abundance of water available; that is why they are situated where they are. None of it is piped into the house from source. It was a daily job getting water from aquifers with no certainty of mineral content (resulting in a lot of kidney stones) or cleanliness. The government now tests all water used for human consumption, so in these remoter areas it is delivered by water truck, hence the white tower containers on each roof. Nikon F4 T-max400 @ iso320. Unfortunately a number of these negatives got irrecoverably damaged when Cyclone Gonu hit Oman in 2007. I was working on Jebel Shams at the time, needed stuff from Muscat and had a rather traumatic encounter with a deluge of water hitting the road we were on. Eventually got back to my house, only to find rather a lot of water in the rooms; one of my files got wet with rain coming through the window edges – it was all my Khasab negatives. Managed to save a number by rewashing in Kodak Photoflo solution, but some had gone beyond even the wonders of scanning and fixing in Adobe Photoshop. I was a lot more fortunate than many people, I’m only complaining about negatives while others lost their lives, houses, belongings and some businesses never recovered. Hay-ho such are the tribulations of life. Not much information about these tombs, rather a lot of them with no real indication of which village they came from, even their age was in doubt; I got a lot of conflicting answers for that question.